This week, NBC World of Dance concluded season 2 with the World Final, naming the champion and winner of the $1 million prize. Last week on The Divisional Finals, the Juniors, Junior Teams, Uppers, and Upper Teams competed for the championship titles of their divisions. Winning these divisions and moving forward this week to compete in the World Finals were Charity & Andres (Juniors), The Lab (Junior Team), Michael Dameski (Upper) and S-Rank (Upper Team). The final night of competition included two performances from each team, one to a song chosen by their mentor, and one chosen themselves. 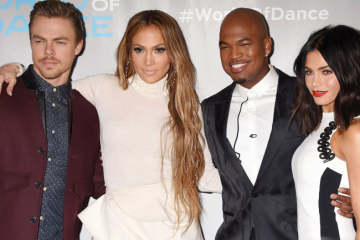 Mentoring the teams were Derek Hough, Ne-Yo, Jennifer Lopez, and Jenna Dewan. Their final scores were determined by averaging the scores of both of their routines given by celebrity judges Jennifer Lopez, Derek Hough, and Ne-Yo. Want to catch up on what’s been going on this season? See our past episode recaps, and watch full episodes on NBC. Charity & Andres, the Junior Division champions, performed first with Derek Hough as their mentor. Derek chose “Ain’t No Sunshine” by Bill Withers for the duo to perform for their first performance of the evening. Their performance began with Charity and Andres dancing separately with complimentary movements. As the music picked up, they joined together to perform some of their signature partner work, including several difficult lifts. The first judge to speak up was Derek Hough, who stood and applauded their performance. Ne-Yo brought up her broken toe, and complimented her strength for dancing so beautifully even with a detrimental injury. For the second round of performances, Charity & Andres gave an athletic performance with powerful lifts, this time not only with Andres lifting Charity, but Charity lifting, or “launching” Andres according to the judges. Jennifer Lopez felt the routine started off slow, then gained momentum throughout. Derek asked them to be proud of themselves and their performance, and Charity agreed that they were honored to make it this far. S-Rank, the Upper Team Division champions, performed second with Jennifer Lopez as their mentor. Jennifer chose “Headband” by BoB for the group to perform for their first performance of the evening. Their piece began with the group leader “conducting” the rest of the members, who moved along to the music matching the notes and syncopation of the music, imitating an orchestra. Once the chosen song began, they continued into hard-hitting, intricate choreography. Their performance earned them a standing ovation from Jennifer Lopez and Ne-Yo. Jennifer complimented them on taking a risk and a simple concept and making it into a great piece. S-Rank performed first for the second round of performances. They began their performance on motorcycles dressed in a “biker” style. Their performance was full of energetic choreography, risky tricks, and syncopated choreography. At the conclusion of their routine, Jennifer Lopez choked back tears as she reviewed their performance, and Derek Hough complimented them on a strong finish. Ne-Yo said every time the group comes to the stage, they remind everyone of why they’re there. Michael Dameski, the Upper Division champion, performed third with Jenna Dewan as his mentor. Jenna chose “Dive” by Ed Sheeran for Michael to perform for his first performance of the evening. Michael came to the stage with confidence, and his performance did not disappoint. He had an element of scenery with light poles, snow, and a letter as a prop. His routine included crowd-pleasing jumps, leaps, and drops, ending with the letter he began the piece with. His performance earned him a standing ovation by all three judges, and talking about the “goosies,” or goosebumps his performance gave them. For his second performance, Michael Dameski utilized a slanted wall fo perform on, from which he dramatically fell from the back of. His routine was full of impressive leaps, turns, and acrobatics. Ne-Yo asked him how he felt at the end of his performance, to which he replied that he was thankful for the challenges this competition has present him with. Jennifer Lopez complimented him on this as well as his last performance, and said she felt he did all he could throughout the competition. Derek Hough thanked him for blessing them with incredible performances. The Lab, the Junior Team Division champions, performed fourth with Ne-Yo as their mentor. Ne-Yo chose “Work It” by Missy Elliot for The Lab to perform for their first performance of the evening. The Lab came out to the stage with incredible intensity, impressive tricks, and a clean performance. Their performance earned them a standing ovation from all three judges, and compliments from each of them on their synchronicity, facials, and overall performance. After Charity & Andres performed their second routine, S-Rank was knocked out of the running to win the World of Dance Season 2 World Championship. After their final combined average was determined, Charity & Andres moved ahead of S-Rank, and stayed in first place until Michael Dameski’s final score was determined, moving them out of the running to win the World of Dance Season 2 World Championship. Michael Dameski’s final combined average placed him into the first place spot after his performance, ahead of Charity & Andres and S-Rank. Their final combined average earned The Lab the championship title, making them the World of Dance Season 2 Champions, and earned a prize of 1 million dollars. Keone & Mari, Upper Division Champions Season 1, came to the stage with a special performance, joined by the Season 1 Upper Team Division champions Kinjaz. They were able to speak before their performance and talk about the incredible opportunities that World of Dance has given them. 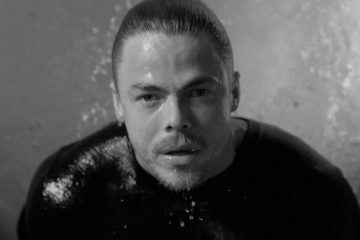 The performers were outfitted with masks on their faces, and the removal of the masks after the routine concluded revealed Derek Hough as one of the dancers in the performance as well. Les Twins, World of Dance Season 1 winners spoke about the opportunities that winning World of Dance has given them, including performing with Beyonce at Coachella. Les Twins performed to “Finesse” by Bruno Mars ft. Cardi B. They were able to each present solo spotlights during their piece, and together they danced with their signature style that they won last year’s championships with. World of Dance doesn’t stop here! The World of Dance Live Tour includes acts from Season 2 like Charity and Andres and Michael Demeski. Find the full list of tour stops, more information, and buy tickets here. Don’t miss exclusive interviews, performances, and more from the definitive source for all things World of Dance.